So January has been and gone, but the rainy weather is still with us! I couldn't not mention my winter wellie loves <3 I have been obsessed with my Hunter boots this year. They really make me feel fabulous even in the grey, gloomy weather! I look forward to rainy days now since getting my babies and I cant help but feel like a complete boss when walking through a puddle! I think they just looks so fashionable and cute with leggings and a cute trench kind of coat. I wear my glossy black original tall boots with a creamy coat, and most of the time with the cream "wellie socks". The wellies are very cute and cosy with these socks, they're made out of fleece so they're so soft and warm, exactly what your feet want on a wet, cold, rainy day! You can get many different colours of boots and socks from Hunter, so it's very easy to create new wellie looks. I chose the glossy black ones because I think they go with everything and I can wear them all the time (which I do even when it hasn't been raining!) I chose glossy ones instead of Matte because I think its more girly and more of a statement. The wellies are made out of high quality natural rubber, so they're bound to keep your tootsies dry and warm in the rain! These boots are soooo comfy and stylish, they make these wet months just that lil bit easier! 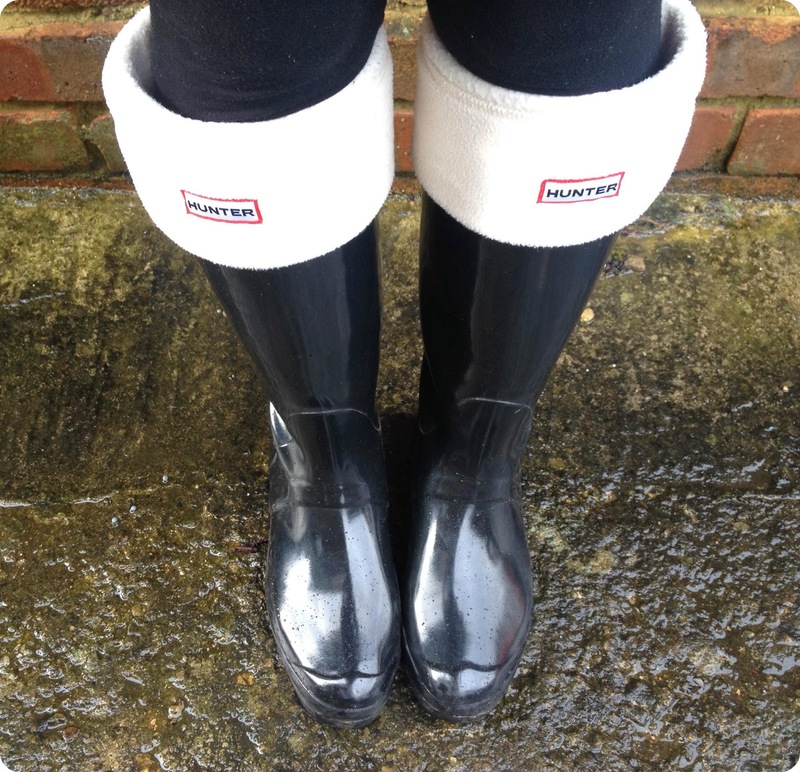 What are your Winter Wellie Loves? 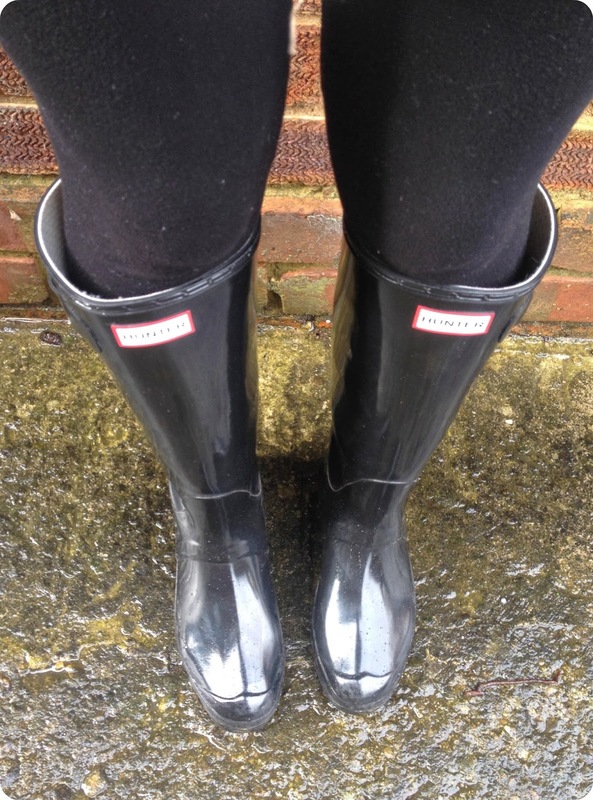 I have two pairs of Hunter wellies, one in white and one in red. Love wearing these and splashing in the puddles...SPLASH!! !